FREDERICK ‘FREDDIE’ THOMPSON has been found guilty of the murder of David Douglas by judges at the Special Criminal Court. The 37-year-old, with an address at Loreto Road, Maryland in Dublin, had pleaded not guilty to the murder of David Douglas on 1 July 2016 on Bridgefoot Street in Dublin. Wearing a white shirt, navy tie, navy trousers and blue and white runners, Thompson thumbed through a red Bible that he brought with him to court while Justice Tony Hunt, presiding with Judge Flann Brennan and Judge Gerard Griffin, spent more than two-and-a-half hours reading through the evidence that led to the guilty verdict. Thompson will appeal the court’s decision. Thompson regularly shook his head as Justice Hunt went over the evidence and when the court’s decision was revealed, he took up his Bible and walked out the door leading to the cell area, followed by prison officers and a garda. He returned less than an hour later without his Bible, now wearing a blue t-shirt and black shorts, to be sentenced to the mandatory term of life imprisonment, backdated to 1 November 2016 when he first went into custody. Justice Hunt sympathised with Douglas’ family, particularly his daughter who witnessed the shooting. He said it was a terrible thing for anyone to see. He further commended the gardaí involved in the case, saying that the standard of the investigation into his “execution” was “second to none”. Michael O’Higgins SC, for Thompson, said he will appeal the decision. Outside court Detective Superintendent Paul Cleary said the family of Douglas was satisfied with the verdict. He added that the investigation is ongoing. During the trial the non-jury court heard that the 55-year-old victim was shot six times shortly after 4pm, as he took a meal break at the counter in his partner’s shop, Shoestown. A semi-automatic pistol with its serial number removed was found next to his head. Justice Hunt said there is no doubt that Douglas was murdered and that this was an execution involving intricate advanced planning and co-ordination. Justice Hunt said Thompson was then caught on CCTV acting in a “furtive and suspicious” manner on nearby Meath Street around the time of the shooting. He dismantled a mobile phone and was seen later that evening at a restaurant with two other men that the court said were involved in the murder plot. 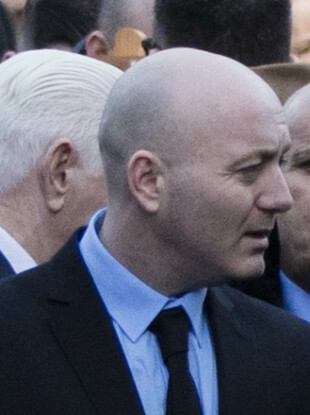 The defence had argued that while Thompson’s activities were “suspicious”, the evidence relied on by the prosecution had fallen well short of proof of guilt beyond a reasonable doubt. But Justice Hunt said that any innocent explanation of all these different strands of evidence would require “an excessive reliance on unlucky coincidence”. He said the court also took into account Thompson’s failure to answer gardaí when they questioned him about his movements on the day. He was referring to evidence on day nine of the trial when it emerged that Thompson made ‘no comment’ to gardaí when asked to account for his being in the two alleged ‘spotter’ cars on the day. He gave the same answer when asked to account for his possession of the same car on Meath Street immediately prior to the murder. He gave the same reply when asked to account for his possession of a mobile phone, which was broken up and disassembled by him on the same occasion. He gave the same reply when asked about his fingerprint being found on the rearview mirror of each car and on a birthday card found in the Mitsubishi. Justice Hunt said that the prosecution had largely relied on circumstantial evidence, and that each individual piece was not in itself enough to prove guilt. However, taking all the pieces together, the court was satisfied that the prosecution had proven beyond a reasonable doubt that Thompson was guilty as charged. Email “Freddie Thompson found guilty of feud murder of David Douglas”. Feedback on “Freddie Thompson found guilty of feud murder of David Douglas”.